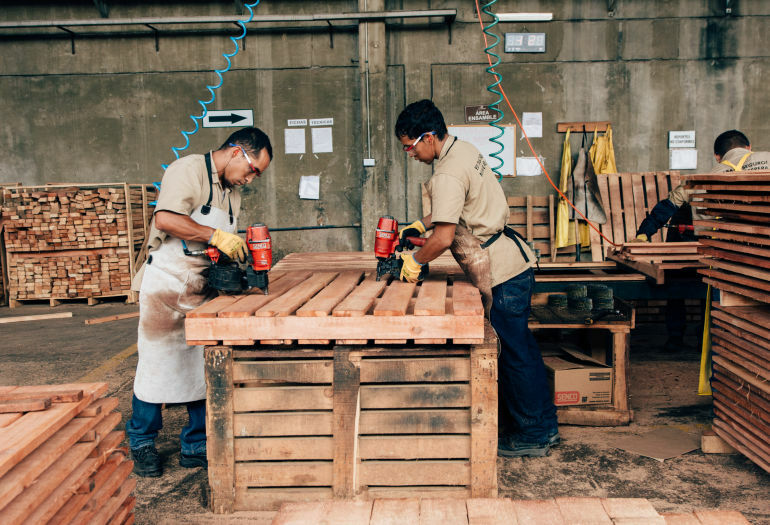 In Yumbo, Colombia, Mundo Maderas was established in 2010 as a sustainable business model that promotes development and transition for former militia and young men into civilian life. 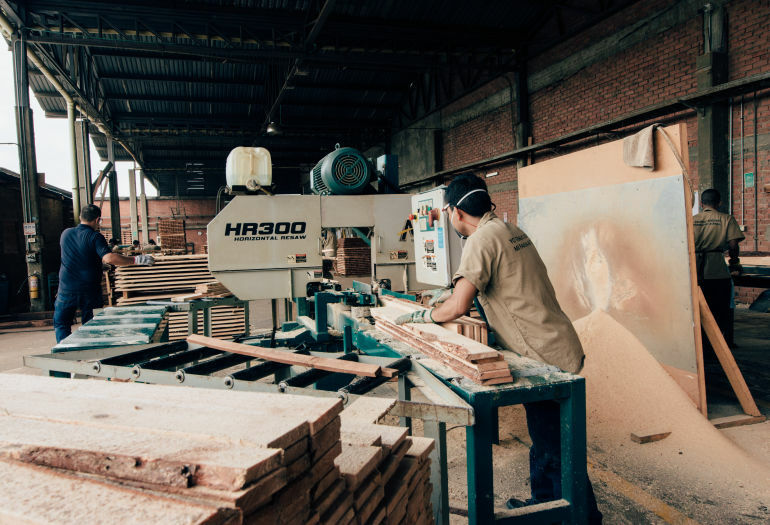 What started with 18 people who left their weapons behind to pursue their dreams of becoming entrepreneurs, Mundo Maderas has helped build a better future for many individuals and their families through the generation of steady income by manufacturing up to 450 pallets per day with a Wood-Mizer LT40 Hydraulic portable sawmill and an HR300 horizontal band resaw. 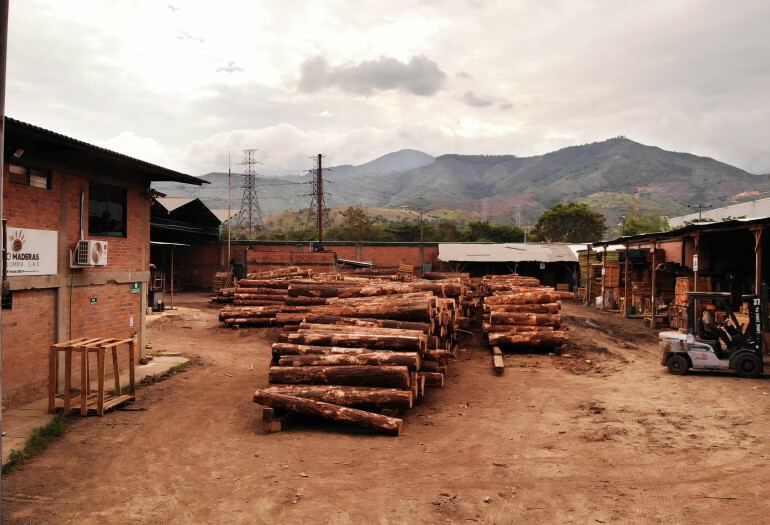 “Mundo Maderas is a project created by the Carvajal Foundation in partnership with the Bavaria Foundation where a pallet manufacturing project emerged, including part of militant groups such as the FARC, ELN, and AUC,” says Jhon Jairo Burbano Chapal, Managing Partner / Environmental Management Leader at Mundo Maderas. 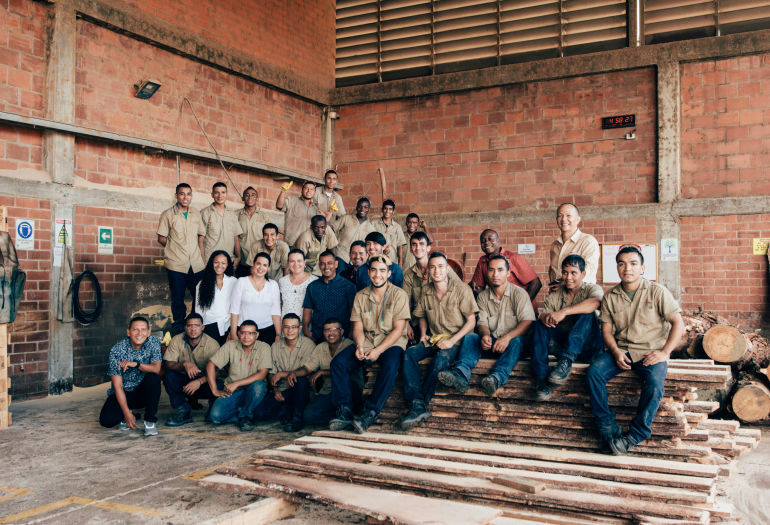 “The Bavaria Foundation wanted to set up a company and made a program for 40 people. From those 40 people, they selected 18. 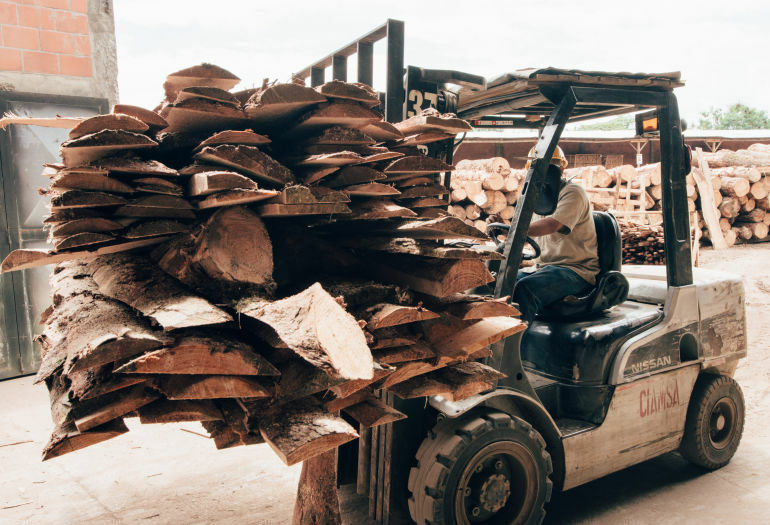 Of those 18, in the course of 8 years to date, three of us remain to continue moving forward with the project,” says Héctor Fabio Hernández Velasco, Quality Management Leader at Mundo Maderas. 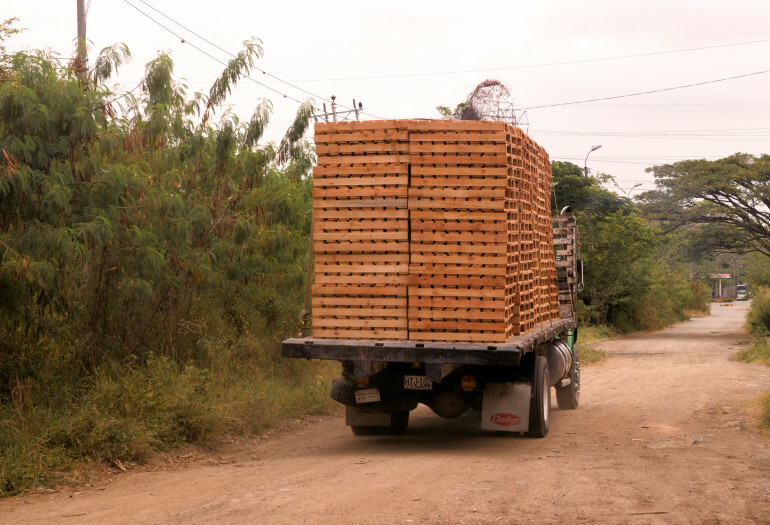 “The pallet process begins when the truck arrives with round logs. 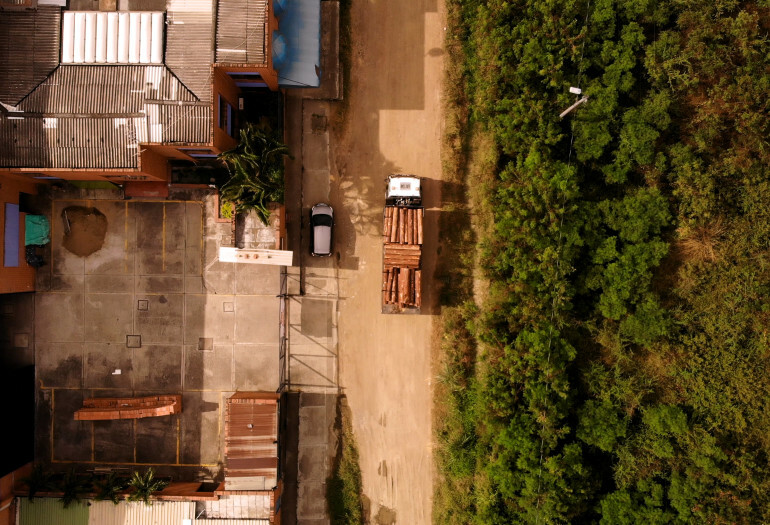 It's unloaded with the forklift, then placed to see the number of meters that Cartón of Colombia sends us. 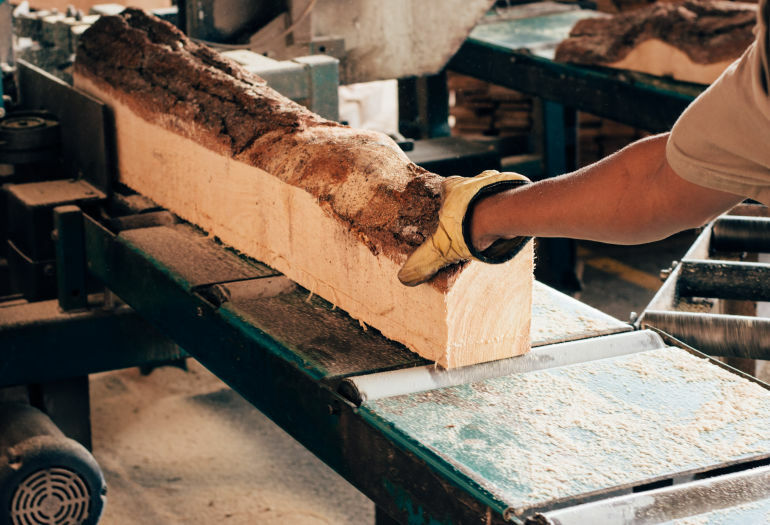 We check the quality of the wood, then go through the process of sawmilling and resawing, to dimensional wood. 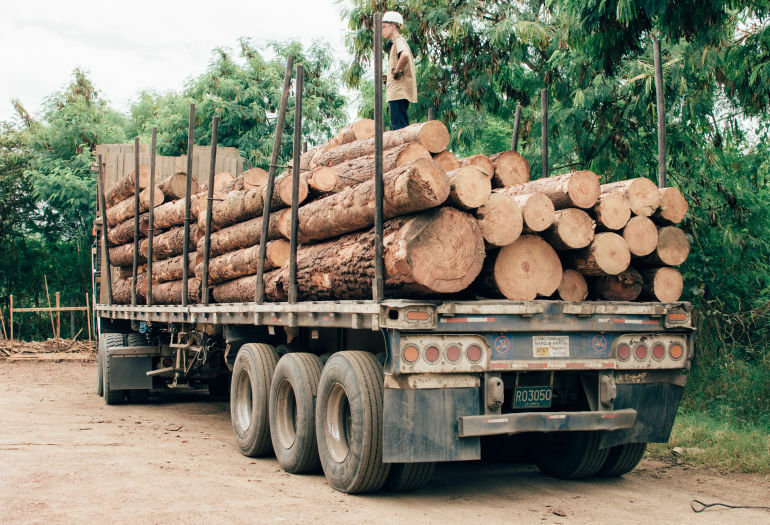 The boards are then treated and go through the assembly line where 400-450 pallets are assembled daily,” says Hector. 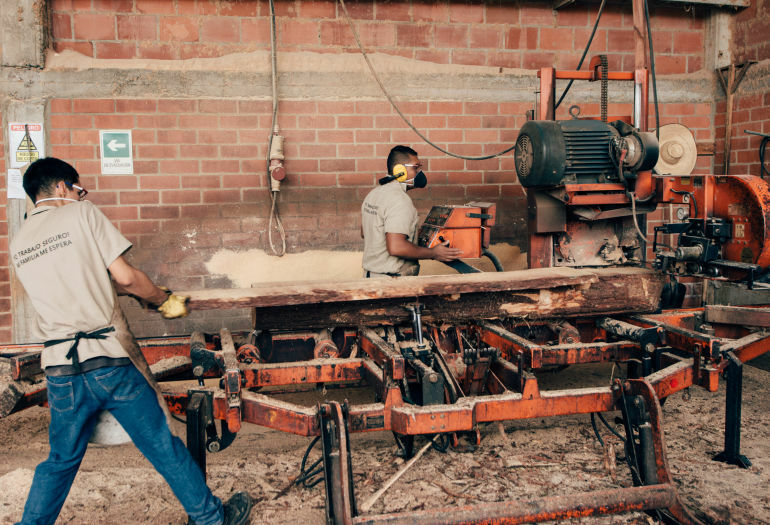 “We're honestly currently very happy with the new Wood-Mizer equipment,” says Jhon Jairo. 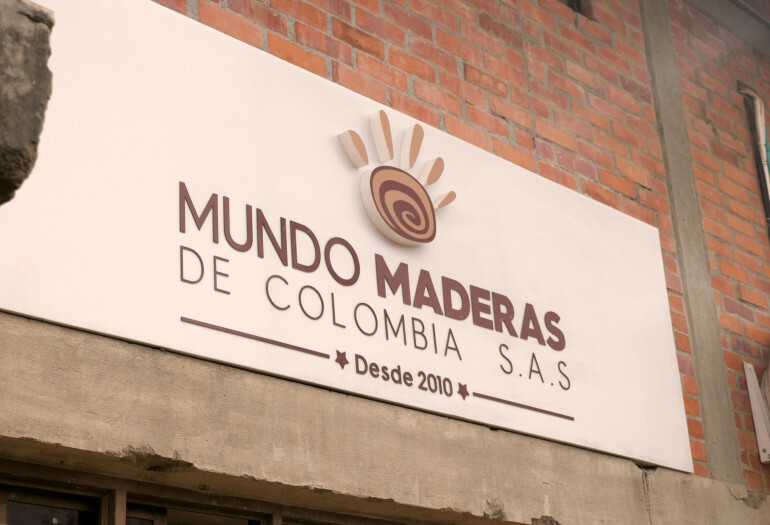 “Mundo Maderas has been a very good change in my life and in my family's because I used to not feel motivated to get up in the morning. We've given young people between the ages of 18 and 20 with no working experience the opportunity to secure their first formal job, so that they are also be able to help support their families. We want to give people the same opportunity that we had, so we give people a chance, as we were once given,” explains Hector.